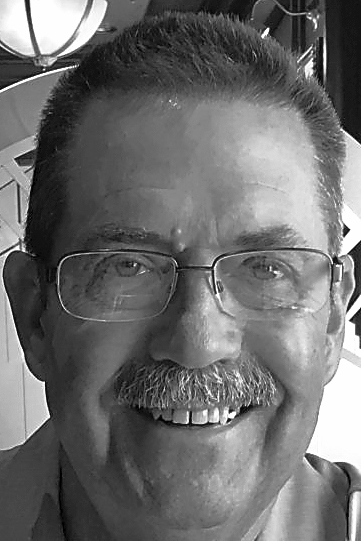 Richard Allen Clinger, 64, formerly of Altoona, died unexpectedly, yet peacefully, at home in Sacramento, Calif., on April 8, 2019. He was born in Altoona, son of Barbara and Richard Clinger. Rick is survived by his loving and eternally devoted wife, Carol; two children from his first marriage, Stacey and Jeremy; five siblings: Sharon, Sandy, Denny, Rhonda and George, all in Pennsylvania; and numerous nieces, nephews, extended family and friends, all of whom deeply grieve this loss. Rick grew up playing baseball and loved all levels of the game, from Little League to the Major League. His natural talent and IQ for the game earned him a baseball scholarship to Penn State University; however, he left to join the U.S. Marine Corps. He started his active-duty service in 1972, meriting a coveted spot in Marine Corps Aviation. Rick was injured in combat during Vietnam and received the Purple Heart award, as well as many other honors for his dedicated service to this country. The honor he was most proud of was his decoration as a Rifle Sharp Shooter. On Aug. 15, 1999, he married the love of his life, Carol Ann Siegele, in Newbury Park, Calif. He and Carol shared many interests, including golfing and traveling, oftentimes with family and friends. Rick played guitar, was an avid gardener and especially enjoyed growing veggies for the table. He had retained his boyhood passion for baseball, serving many years as a coach, mentor and role model in the Sacramento area for the Babe Ruth and American Legion leagues, as well as the junior varsity team at Elk Grove High School. There wasn’t a barbecue Rick couldn’t master and he was quite proud of his grill skills. He was a die-hard fan of the Pittsburgh Pirates and Pittsburgh Steelers, and a loyal Marine. Rick had an uncanny talent for deciphering accents and recognizing faces, which helped him to connect easily with everyone he met. He was a man’s man with a huge, compassionate heart. He was very low-key in his numerous acts of kindness for others. Rick was a true gentleman and a man of faith who loved his country. Rick worked at Air Products & Chemicals and retired in 2009 after more than 30 years. A memorial service will be held at 2 p.m. Saturday, April 20, 2019, at St. Luke’s Lutheran Church, 7595 Center Parkway, Sacramento, Calif. In lieu of flowers, donations to the Wounded Warriors project in Rick’s name would be greatly appreciated.